Originally published under the title "Islamophobia Motion Will Target Moderate Muslims." Many in the mosque establishment and right-wing Islamic groups in Canada are celebrating this as a victory. But Muslim critics of the so-called "Motion 103," which mentions only Islamophobia by name and not any other form of religious persecution, are in disbelief that so few members of parliament have objected to this giant step backward and the watering down of our freedom of expression. Perhaps, since the motion is being put before the Commons by Liberal MP Iqra Khalid, a Muslim Canadian, MPs don't want to be seen as insensitive to Muslim victimhood. Opposing the motion risks being labelled racist, misogynist, and, of course, "Islamophobic." Khalid introduced her motion on Dec.1, 2016, before the Quebec City massacre on January 29, 2017. That said, popular TV host Asif Javaid argues that it "echoes the agenda of Islamists and Islamic extremists in North America who are shamelessly taking advantage of the Quebec City tragedy to advance the international Muslim Brotherhood agenda to silence any critique of Islamism." 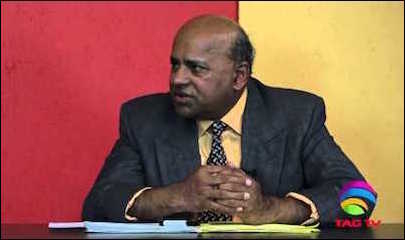 TV host Asif Javaid argues that Khalid's motion "echoes the agenda of Islamists." In a post on his Facebook page, Javaid wrote: "(E)xtremist Muslims who came here as refugees are making preparations to turn Canada into a ... nightmare." As for the motion to be debated in parliament, I wrote to Khalid asking her to define "Islamophobia," since her motion does not. Would Muslims who denounce Sharia law as barbaric fall into that definition, I asked? I asked if she believed "declaring the Islamic doctrine of armed jihad as an outdated concept that needs to be renounced" was Islamophobic? She has not responded to my questions as of this writing. Any threat to Islam's unofficial papacy by moderate Muslims is met swiftly by threats of death and fatwas. Moderate and secular Muslims today are similar to the Christian followers of Martin Luther in 1517, whom the Catholic clergy condemned and later excommunicated. Despite the fact Islam is without an equivalent to papal authority, Islamic clerical authority in the West works through transnational networks such as the Muslim Brotherhood and Jamaat-e-Islami, whose cadres operate cells in schools, universities, and NGOs to help infiltrate the system. Just as in the Europe of the 1400s, any threat to Islam's unofficial papacy is met swiftly by threats of death and fatwas. O Allah, make their children orphans and their women widows. If this prayer was in fact spoken to a congregation, then perhaps MP Khalid will have the courage to amend her motion and include a denunciation of this prayer, variations of which are read at most mosques every Friday. Will she label such hateful statements as an example of systemic racism that is anti-Semitic, anti-Christian, anti-Hindu, and anti-atheist?